F & R Roofing & Property Maintenance - Fascia/Soffits/Guttering, Roofer based in West End, Hampshire. 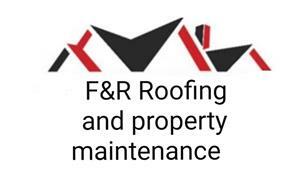 F & R Roofing & Property Maintenance has been a family business for many of years, we carry out a very high standard of work and are friendly and reliable in all we do. Guaranteed and fully insured, we offer a 24 hour call out service No job too small or too big, from minor to major works. you can be confident that your roof will be quickly and efficiently repaired by an experienced and highly skilled work force and the working will be carried out with the minimum of disturbance and inconvenience.